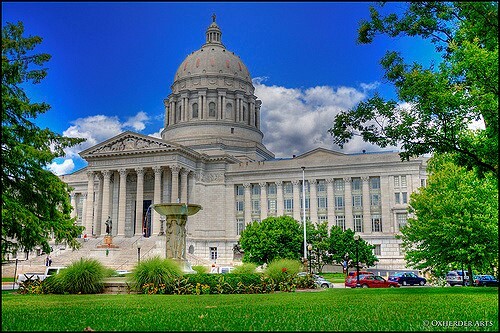 Consumer-friendly energy policy legislation, SB 564, was passed by the Missouri Legislature in the final week of the regular session and signed into law by the governor on June 1. Ameren Missouri customers will receive an approximate 5 percent rate cut on their electric bills as soon as possible, but no later than the end of August. "We are pleased that our General Assembly passed this groundbreaking energy policy bill," said Warren Wood, vice president, External Affairs & Communications, Ameren Missouri. "We are glad the legislation was signed into law so quickly by the governor, as this triggers the rate cut for customers. This rate reduction, coupled with a rate freeze for the next couple of years and an ongoing rate cap, will benefit consumers tremendously. Passage of this bill unlocks a billion dollars in new infrastructure projects by Ameren Missouri over the next five years that we will begin implementing by early 2019." "This is the culmination of many years of work on energy policy or utility legislation," said Senator Ed Emery (R-31, Lamar), who sponsored SB 564. "This bill may not be perfect, it shows how true consensus can be reached when all parties sit down and negotiate what's best for the state." "Passage of this legislation is the result of many stakeholders working together for many months," said Rep. T.J. Berry (R-38, Kearney). "Starting in the summer of 2017 we pulled industrial customers, investor-owned utilities, consumer groups and business leaders together to start drafting bill language, which after several modifications by legislators, led to the agreed-to language in SB 564 and my version in the House, HB 2265." "As chairman of the House Utilities Committee, I can tell you that we have heard many energy policy bills over the years; some were good ones that did not pass," said Rep. Rocky Miller (R-124, Lake Ozark). "But this year, when SB 564 made it across the finish line and became law, it brought a conclusion to an energy policy debate that was long overdue. As a result, the new law brings lower electric rates to customers and kick starts energy grid modernization that will update a key segment of our state's aging infrastructure. This investment creates jobs and makes Missouri's energy rates more stable, which is good for our economy and consumers." In addition to the almost immediate rate cut, the new law will provide significant energy savings for the typical residential electric consumer by also freezing rates for three years from the last rate increase, and capping electric rate increases at 2.85 percent annually, cumulative from an investor-owned utility’s last rate review. This energy policy will also support building a smarter, more reliable, and more resilient energy grid for Missouri that reduces outages and creates thousands of jobs. In addition, new investment will generate more than $55 million in new taxes that will go to schools, libraries, police and fire districts and county roads and bridges. Hundreds of companies, organizations and associations, representing thousands of Missourians across the state, supported this important energy policy legislation. Supporters include the United Way of Greater St. Louis, the Missouri Chamber of Commerce and Industry, the Missouri Grocers Association, the Missouri Retailers Association, chambers of commerce in Jefferson City, Columbia, Cape Girardeau and Associated Industries of Missouri (AIM). These endorsements join hundreds of others from non-profit organizations, businesses, chambers, civic groups, municipalities and labor unions which recognize this legislation as a true win-win for all customers and energy companies that desire a smart, secure and stable energy future for Missouri.